Don't let danger catch you off guard. From business organizations to church groups to school employees, our Corporate Training has everything you need to stay safe and act at a moment's notice during an emergency situation. This program covers active shooters, women's self-defense, group response strategies, and so much more. Join us in Raleigh today or fill out the short form on your screen to learn more! What's Included In Our Corporate Training? This program is designed to prepare you for any threat that might cross your path. Our team of professional coaches will work with your group and help you build a core set of skills and situational awareness that could save your lives in a dangerous situation. Our Corporate Training can make sure that you don't waste a second in a real-world emergency. Two birds with one stone, right? 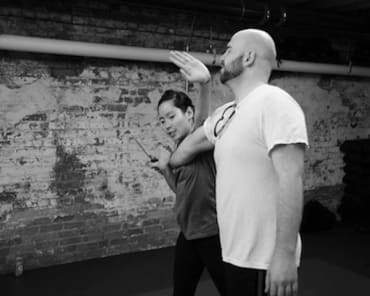 This Corporate Training program is first and foremost a tool for safety and self-defense in the face of danger. But we're also here to help your group learn how to work together as a team. You'll learn to rely on one another as you escape a dangerous situation. We're offering lifesaving strategies and a team exercise like other. 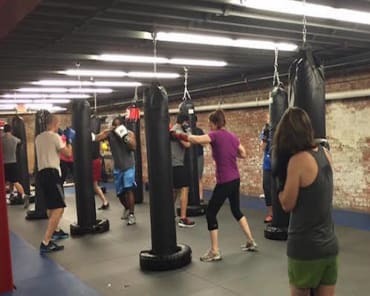 At Krav Maga Raleigh, we're committed to helping you stay safe. Our Corporate Training program is perfect for groups and organizations all across our community. No prior skills or experience is required.